L2 City Centre Move out and End of Tenancy Cleaning | Quality Property Care Ltd.
For you to get the finest move out cleaning in City Centre L2, call 0151 673 0008 and request a free quote from our team. The client support centre is ready to take your calls so you can contact us right after regular operating hours for information or reservations. Quality Property Care Ltd. has been offering professional cleaning services to the residents and businesses of City Centre L2 since 2007. One of the specialties provided by the trained and experienced cleaners is the move in and out cleaning service. End of tenancy cleaning is needed any time tenants are moving out of a house or apartment they have been renting. The property manager approves the cleaning and the condition of the residence just before giving the deposit back to the departing tenants. Our company has several years of experience of operating with the biggest businesses and property managers, and based on the expertise and the requirements of the property owners and managers, has developed a extensive deposit back cleaning checklist for its cleaning teams. If you have never employed the services of an experienced lease cleaning company, we will now let you know what to expect and how to prepare yourself. Please note that end of tenancy cleaning service City Centre L2 from Quality Property Care Ltd. is required when tenants are moving of a residence they have bean leasing. If the refinement is not complete or with absences, as a renter you will lose your tenancy deposit back. That is why it is usually more beneficial, guaranteed and low-priced to use professional post tenancy cleaning services. Please, note that, note that this list of cleaning tasks is not exhaustive. You can add as many directions and special demands to it as you wish. Speak to to the professional end of tenancy cleaners about your further demands and inquiries. We clean out pantry shelves and storage, we clean inside eliminating any remaining food and packages. Expired meals we toss away one which is still useful we place aside for the client or offer to a shelter nearby. Scars around the grips are removed and unwanted stuff are thrown away. The trash bin is dusted and washed on top and below, the soap dispenser is also washed. The sink is washed and cleared after that wiped dry. We clean and dry the wall tiles around the sink, while also removing food and grime deposits all-around the sink if any. We also clean the kitchen appliances inside and out, eliminating food leftovers. To prevent fungal development and remove odours we use anti-bacterial detergents with long lasting effects without any hazardous effects on people or pets. 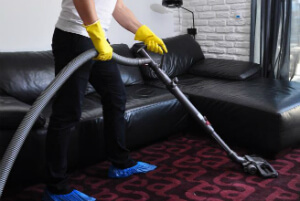 The service is suitable for the cleaning of both commercial and home properties, our personnel do not leave your home until the job is completed. As this is not an hourly based service you will be charged based on requirements such as rooms amount & size, what you want cleaned and so forth. Time is not a constraint for our staff nor is the location as we work throughout the entire City Centre L2region as well as the Greater London area. The service itself is ideal for property owners, renters, property managers and building managers, with exclusive rates for each one, based on the capacity of the order. We clean the entire property or specific rooms, with no constraints on where and what we can treat. We clean up the kitchen area, bath, hallway, living room, stairways, the household furniture, all over the doors, on top of the doorframes, in your sleeping quarters and so forth, all done professionally and with no dangerous chemicals. Be quick to make a rapid reservation for our adaptable end of tenancy cleaning company City Centre L2 services! Quality Property Care Ltd. is ready for your end of tenancy cleaning orders. Get a free quote today or ask for additional information! Dial that 0151 673 0008 phone number or the internet booking form and book our end of tenancy cleaning service in City Centre L2 at small fraction of the cost right now!